I find myself blessed daily and continuously amazed by the natural wonders I see living on a lake. 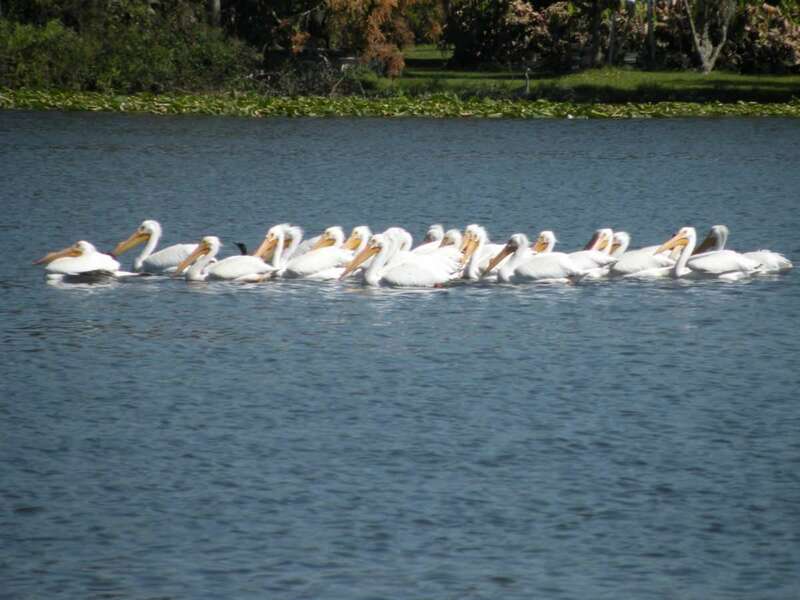 This week, we were visited by a large group of feathered, white migrants– pelicans. This is the second full year that I have been in my home. I am starting to see the cycles of the wildlife around here. But these amazing specimens did not make an appearance last year. I would have remembered it! These impressive creatures fly great distances in large flocks. The above photo is only a small subset of the entire flock that found itself on my lake. At the height of the week, we easily had over 100 of these visitors! 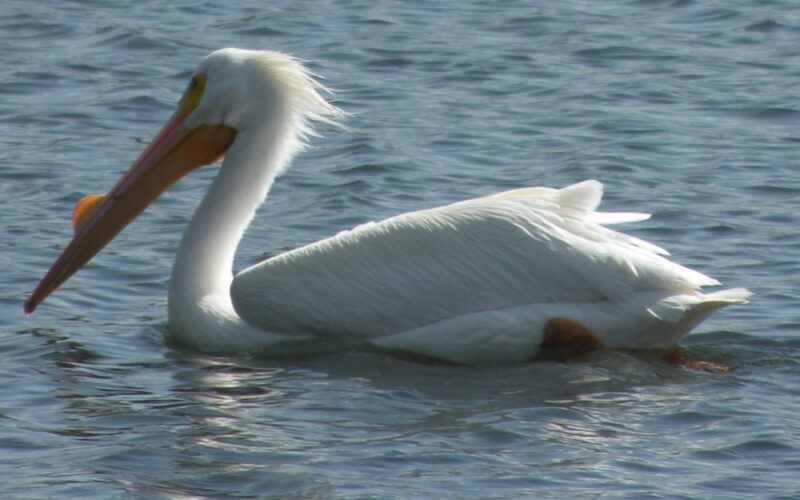 The particular species of pelican we hosted was the American white pelican. Not only do these birds travel together, they also hunt together, too. By swimming in a line formation (like they are above), they drive their prey (fish) towards shallow water. This allows for easy scooping up in their large bills. I was very surprised to read that they can hold up to three gallons of water in their bill! I suppose this can’t be too much of a shocker. After all, they can weigh up to 30 pounds and have a wingspan of up to 10 feet. These are huge birds! I found reading about pelicans to be absolutely fascinating. You can read more about the pelican from Encyclopedia Britannica or National Geographic. These were two of my favorite sources and gave me the scientific insight for this post. As you can see above, the pelicans sometimes spread out, but I pretty much never saw them swimming alone. They really are communal creatures. At a friend’s suggestion, and after I read about the birds from a scientific view point, I wanted to explore their spiritual meaning. I found that pelicans represent many philosophies that I am trying to incorporate into my own life right now. Notably, according to pelican symbolism lore, seeing pelicans indicates a time of peace. They encourage us to just be and to feel content with life. The pelican represents finding balance and spending time with those you care about. If that doesn’t match up with my goal of optimizing my life and escaping the rat race– I’m not sure what does! Even though the flock was here and gone within a week, the birds left a lasting impression. It seems like these creatures flew into my life at exactly the right time. When I think of them, I will be reminded that what I am doing is so worthwhile. I am putting the angst of “normal” life aside to pursue a life of flow and relative ease. Until then, I will remember your message and happily spend every day by the lake. 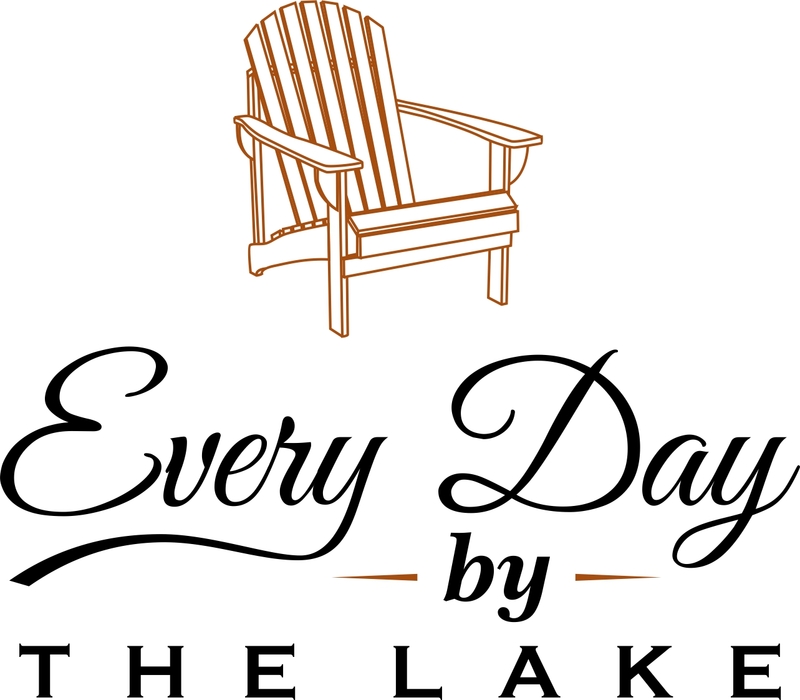 Interested in more lake life musings? Drop me a comment or sign up to be the first to receive updates! I loved finding out that the pelicans represented peace! So many search for that daily and how special to have that reminder right where you live! It is so special– I truly am blessed. Thanks for reading and commenting, Sandy! Such majestic creatures! I had no idea they were that big! I told my daughter about them and she went to go research more info! I didn’t realize they were that large, either… they don’t look that big when they are floating on the water… you really see it when they fly. Thanks for leaving the note, Katie! Wow, what a fascinating spiritual meaning. I love that. You are so blessed to have this right outside your window! I also love your perspective and how you have found beauty right in front of you. Best of wishes as you journey towards contentment and being. They truly are lovely birds. Great pictures! I love watching pelicans fly and swim around at lake nearby. Thanks, Susan! There is so much wildlife in the lake ecosystem… built in entertainment in my backyard! Neat post! Thanks for sharing the symbolism. I love when things & inspirations are so timely! Thank you, Mrs. SBF! The alignment was perfect! 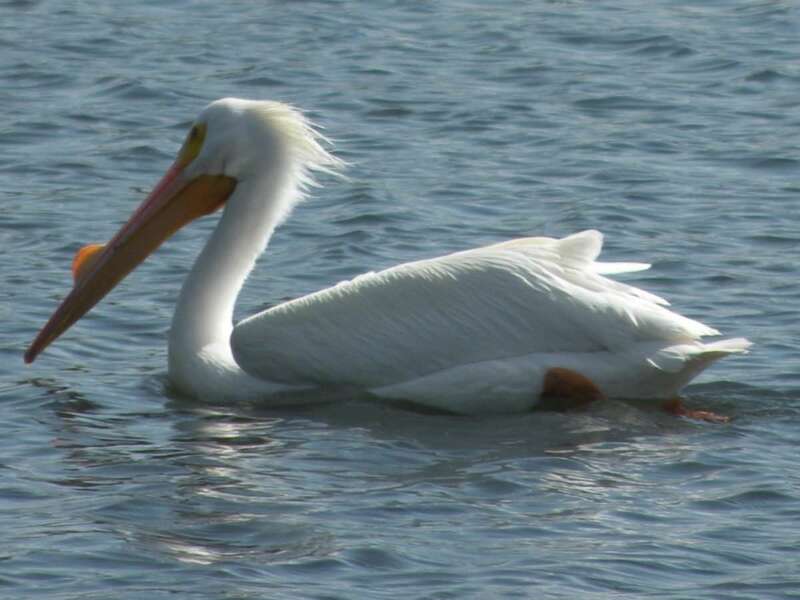 We have the white pelicans in the summer at Lake Winnipeg, Manitoba. They are such beautiful flyers – we love how they catch a wind current and as you say just float. A great thing to apply to our emotions and points of life. I will remember this. Going to share with friends and family on facebook now. Thank you so much for commenting and sharing, Verla! It’s amazing how graceful they are in the air considering their size. Amazing! What a sight to see. Great photos, too. Pelicans kind of do remind me of peace! So quietly graceful and communal 🙂 Thanks for reading and commenting, Maggie! Wow, they are beautiful creatures. Thanks for sharing. Thanks for visiting and commenting, Shawniece! Beautiful birds! Thanks for sharing your views and appreciating them as we all should! this is so wonderful, they truly are beautiful and majestic birds. Thanks, Rae! I so enjoyed their presence and hope they return! 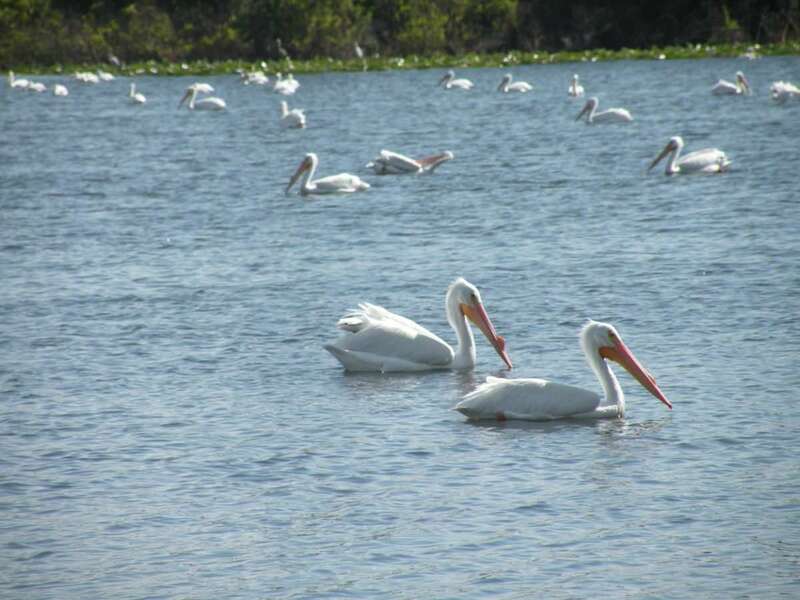 I live near Fort Myers Beach, FL and see pelicans regularly when I’m there…love them! I learned more about them through your post today, so thank you! So glad to hear, Candi! Thanks for visiting and commenting! I love that you found such deep meaning in these majestic birds! Thanks, Dominique! I connected so much with them! Thanks, Caitlyn! Nature really is awesome! How cool to see these so up and personal. Loving the meaning you placed in this post to go along with this. Thanks so much Kristi Ann! They really were an amazing spectacle! I grew up on a lake and also loved what I got to see! I would see some pelicans, but not too many. I did enjoy the birds that were around the lake! Thanks for commenting, Alexis! The wildlife at the lake is incredible! We have herons, hawks, osprey, ibis…too many to name! Oh my goodness how cool! Thank you for sharing! I love pelicans as well! They really are neat birds! Thanks so much for visiting, Melina! I knew that pelicans were big but I didn’t know that they were THAT big. Holy cow. 10 ft?! Thanks for the fun facts! I didn’t realize they were that big, either! They don’t look it in the water– you really see it when they are gliding in the air. Thanks for commenting, Jessica! Wow there were so many of them!! What a great site to wake up to! They really were a nice addition to the day. I had just started getting used to them when they left 🙁 Hope they come my way next year. Thanks for visiting, Gail! Wow! What an amazing site that must have been! Your pictures are beautiful but I can only imagine how much more impressive they were in person. Pelicans are so pretty! Lovely pictures! Thanks, Heidi! They are so graceful! This is so neat! I can’t believe that they can hold 3 gallons of water in their beak. That it amazing!!! Thanks for sharing. Thank you for reading and commenting, Jennifer! They are deceptively large creatures! They are gorgeous birds! You are so blessed to have them nearby. We have Sandhill Cranes here and I LOVE them, and it is now baby bird season. Their babies are adorable! Hi Terri. Thanks for reading and commenting! I had Sandhill Cranes at the last house I lived in. Their babies are super cute! Pelicans are fascinating birds! Amazing! They really are so neat. Thanks for visiting, Carmen! Wow, it’s so great that you got to see those pelicans. I had no idea that they indicated a time of peace. That’s fantastic. I love learning new things about the creatures and the world around us. Thanks for reading, Sarah! Living on a lake has taught me so many things about nature. Having all of the different plant and animal life nearby is a major perk of living here!